The World Premiere of Harry Potter and the Deathly Hallows part 2 in New York City is set on Monday 11th July 2011. There is no word yet about who of the cast is going to attend this premiere, but it seems Daniel has a day off of "How To Succeed" since this premiere is on a Monday, but if we hear more, you hear it here. When: Monday, July 11th with celebrity arrivals starting at 5 PM. Who (so far): Daniel Radcliffe, Rupert Grint, Emma Watson, Alan Rickman, Tom Felton, Matthew Lewis, Helen McCrory, director David Yates, producers David Heyman and David Barron, and screenwriter Steve Kloves. And then HP Fans in the US, who own Time Warner Cable can win a trip to attend the NYC premiere. For more information on how to participate/enter the sweepstakes, head to Time Warner's official Facebook. 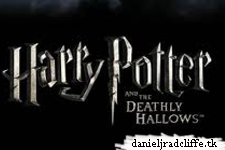 Time Warner Cable digital customers can now enter the Harry Potter and the Deathly HallowsTM – Part 2 Sweepstakes for a chance to win a trip to the premiere of Harry Potter and the Deathly Hallows Part 2 in New York City. Be the first of your friends to witness the final chapter in the Harry Potter Series! One Grand Prize winner will receive a two-day, one night trip for two to New York City including airfare and hotel accommodations; as well as two tickets to the premiere screening of Harry Potter and the Deathly Hallows - Part 2 on July 15th. No Purchase Necessary. Void where prohibited. The Harry Potter and the Deathly HallowsTM – Part 2 Sweepstakes is open to legal US residents who, as of 6/2/11, are Time Warner Cable subscribers, residing in a serviceable area of Time Warner Cable and those living in the same household in the following states/areas: AL, AZ, CA, CO (only in Gunnison), HI, ID, IL, IN, KS, KY, ME, MA, MI, MO, NE, NH, NJ, NM, NY, NC, OH, PA, SC, TX, VA, WA, WV, or WI, and 18 years of age or older. Starts 10:01 a.m. ET 6/3/11 & ends 11:59 p.m. ET 6/19/11. Sponsored by Time Warner Cable Inc.